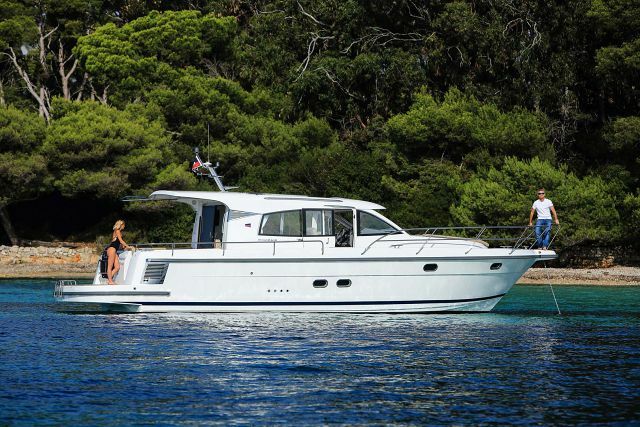 The Nimbus Boats 365 Coupe was designed specifically to provide as many spaces on board for entertainment, socializing, and fun as possible, while also maintaining the high standards that come with being a Nimbus. 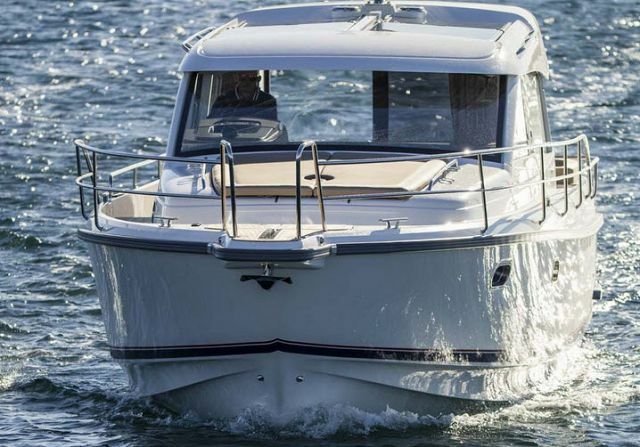 The 365 Coupe was so well-built in fact that it won the European Powerboat of the Year award for its class, a nod to the thoughtfulness that went into designing and building the boat in a way that appeals to boaters needing a multi-use boat. 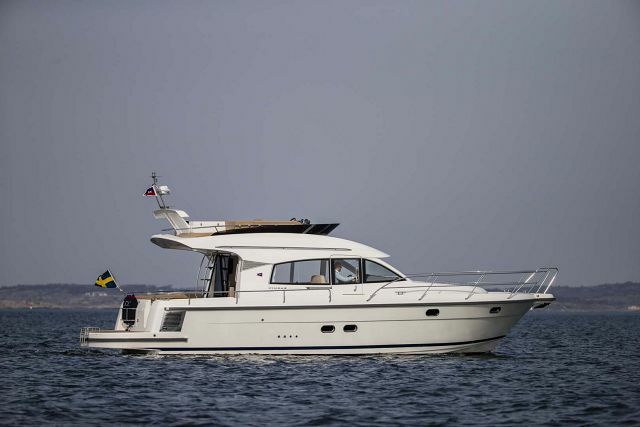 With the Nimbus 365, you have the option to spend the day riding on the flybridge, wind in your hair, with exhilarating performance from the Volvo Penta inboard engines or relax in a spacious, luxurious interior with excellent views through the oversized windows. The Nimbus 365 Coupe' was also built with Nimbus' patented Side-Walk Design. “Side-walk” is an asymmetrical deck layout where the side deck along the starboard side is extra wide and provides generous freedom of movement. 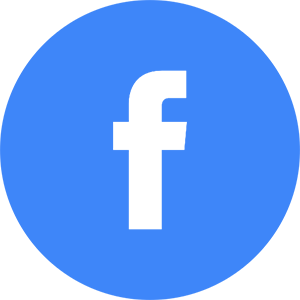 It becomes convenient and enjoyable to move about on-board from bow to stern, and easy to get on and off the boat along the entire starboard side. Maximum use is made of the interior volume, allowing the cockpit, saloon, lower deck and cabin to be larger than would otherwise be the case in a boat of this size. An important feature of the Nimbus side-walk concept is the large flush fitted sliding door to starboard. The sliding door provides quick access when laying alongside and enables maneuvering the boat from a standing position on the side deck. 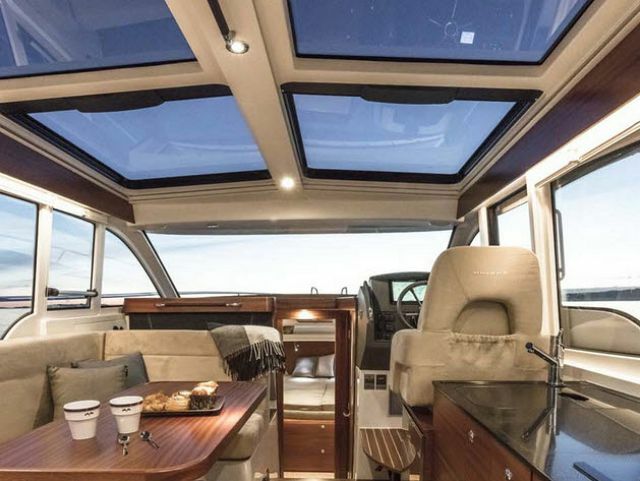 Accommodations for overnight trips on the Nimbus include two nicely appointed cabins including a twin berth in the master along with several windows and a skylight to open up the room. The second cabin is also has a twin berth and shares a full head with shower and toilet with the main cabin. The 365 Coupe is truly built for enjoying your day on the water, but also has the amenities and space for a multiple day excursion. 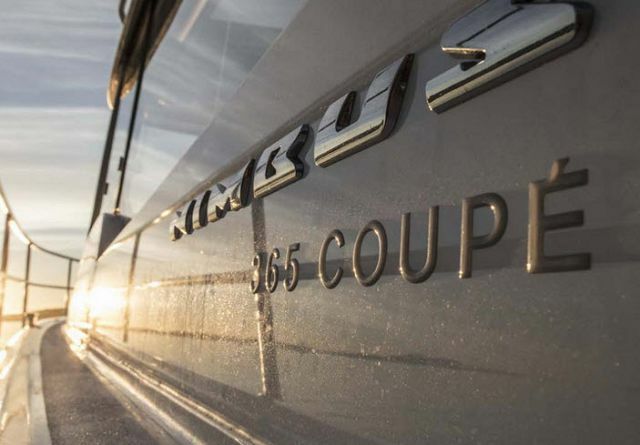 For more information on the Nimbus Boats 365 Coupe, please contact your Seattle Yachts Sales Professional today. Fuel Tank Capacity: 185 Gal. Water Tank Capacity: 72 Gal. Sweden has given the world such iconic offerings as ABBA, Ikea, gummy fish and cocktail meatballs, and now it brings another cultural prize stateside: Nimbus Boats.